This is the second bingo card with children's book as the theme. We have 8 cards in our collection and a printable tiles. 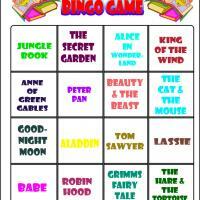 Children will have fun playing bingo and knowing different book titles as well.